Before I went off to college, several people told me, “It will be the best four years of your life!” In my head, my response was, “That’s horrible!” I didn’t want my life to peak at 22 and then have it all go downhill from there. 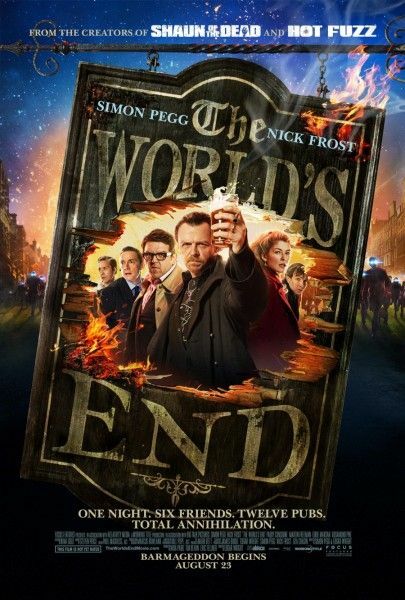 Furthermore, that comment is rooted in a fear of the future, and has a death grip on the past because at least those were “the glory years.” Edgar Wright’s The World’s End thoughtfully explores the importance of coming to own your past rather than letting it own you. 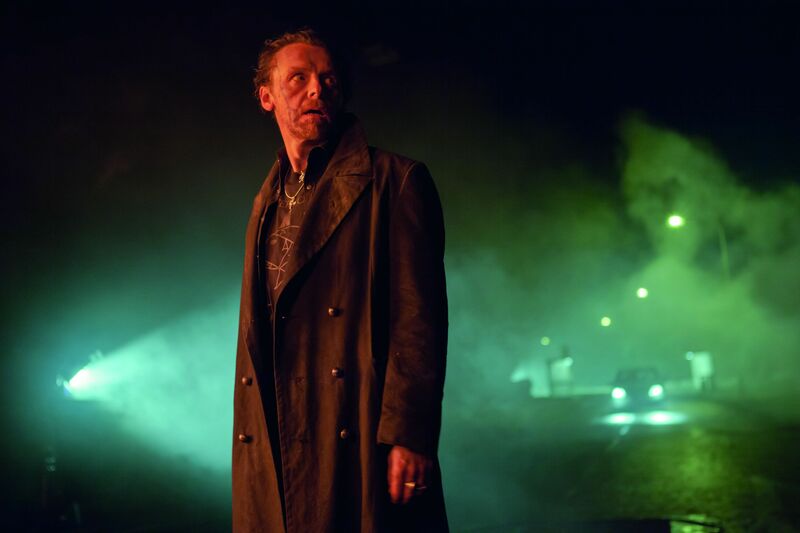 Of course, he does this in the same bravura directing style of his past films, and with the rapid-fire comedy he and co-writer/star Simon Pegg brought to the first two parts of “The Cornetto Trilogy”, Shaun of the Dead and Hot Fuzz. However, the trilogy’s conclusion makes a firm break with the structure and style of those movies in favor something that’s a little looser, more mature, and just as funny and emotionally honest. Gary King (Pegg) was on top of the “world” (i.e. his small hometown of Newton Haven) when he was in high school. Twenty years later, he’s a washout who can only dream fondly of the night he and his friends almost conquered the “Golden Mile”—a crawl across twelve pubs in one night. Determined to finally complete the mile, Gary reunites his estranged friends Andy (Nick Frost), Oliver (Martin Freeman), Peter (Eddie Marsan), and Steven (Paddy Considine) to come along on the journey. They reluctantly follow the rude, self-centered, manipulative Gary until they discover that there’s more at stake than a wasted evening: the whole town has been taken over by robots impersonating the townsfolk. At this point, Gary somehow manages to convince the group that they can get out alive if they just keep going on the pub-crawl because then the robots won’t know that our heroes know. Although The World’s End has been billed as the end of the Cornetto Trilogy (Wright and Pegg’s three movies together that share cast members, gags, and a brief glimpse of the Cornetto ice cream), it’s a vast departure from Shaun and Hot Fuzz in two important ways. First, it doesn’t have the two-half structure where everything casually brought up in the first half of the movie is radically and brilliantly given a new context in the second-half. 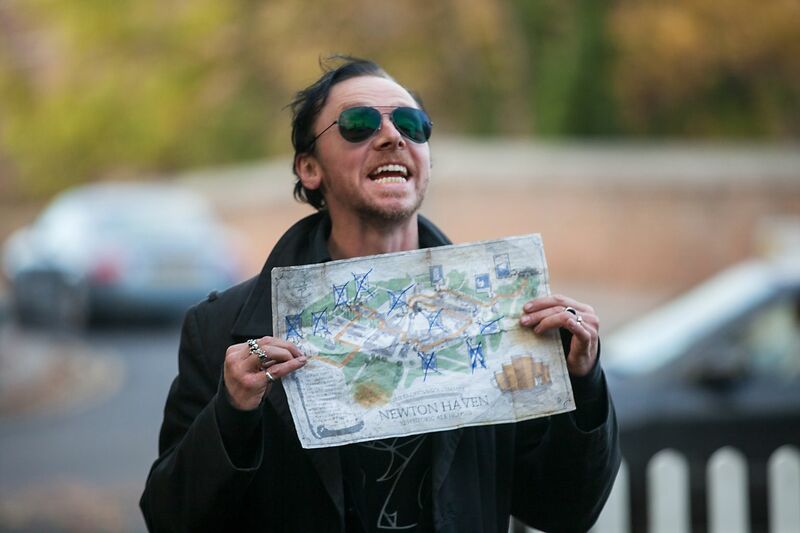 The World’s End also isn’t a devout love-letter to a specific genre. It’s technically sci-fi with a bit of an Arthurian legend mixed in, but there’s nothing on the level of Shaun and Hot Fuzz where the filmmakers are making specific references and breathing the same oxygen. However, to return to this structure and style would undermine the larger theme about the importance of understanding how to move forward. The movie can’t criticize Gary’s tendency to live in the past, and then have the filmmakers ape the approach of Shaun and Hot Fuzz. Instead, Wright and Pegg take a chance and trust that the tone and personality they’ve brought to their last two films can live on even though the larger markers have been cast aside. This approach occasionally muddles the story such as trying to follow the robots’ ill-defined plans and how five increasingly inebriated men in their mid-40s can be excellent fighters. But for the most part, the looser plotline provides a fresh experience that still provides the sharp comedy and powerful relationships we’ve seen in the duo’s previous movies. Of course, as with all of Wright’s films, everything is wrapped in a candy-coated genre shell. There’s always time for a dramatic moment even if blue-blooded robots are looking to inflict unspeakable terrors. That blue-blooded design is a prime example of how Wright’s vast cinematic knowledge always shines through in his movies. In places of the standard wires and metal, the robots are a kind of ceramic/plastic filled with blue blood, and they can emanate blue light from their eyes and mouth when angered. It’s a unique design that could only come from someone who has seen it all before and has the vision to try something that’s not only new, but can service some exciting set pieces. There’s a fight scene in a men’s room that almost feels like Wright is showing off as he captures the action in what appears to be one take. As good as the script and action can be, it’s the actors who make it come alive, and there’s a strong lineup of supporting talent although Rosamund Pike, who plays Oliver’s sister, never gets in on the laughs and her character mainly exists to define Gary and Steven. Nevertheless, the final installment of the Cornetto Trilogy keeps with the first two films by putting the friendship between Pegg and Frost’s characters at the center. In a refreshing bit of role reversal, it’s Pegg as the dimwit this time and Frost playing the more responsible of the two. Pegg explodes off the screen as Gary constantly tries to reclaim his place as the center of the universe among a group of friends who have long since left his orbit. The performance borders on scenery chewing, but its bombast works because it’s tinged with Gary’s sad desperation. Meanwhile, Frost provides the best performance of his career by not only conveying the anger and betrayal Andy feels towards Gary but also the cold, hard resentment that comes from being hurt by someone you love. The Cornetto Trilogy closes out by chronologically looking back in order to move its protagonist to maturity. Shaun is simply a guy who wants a better future but there’s a zombie apocalypse in the way. Nicholas Angel is a man who can’t “switch off” and live in the present. And Gary King is a prisoner of his past who realizes that the best day of your life can sometimes be the last day of your life. 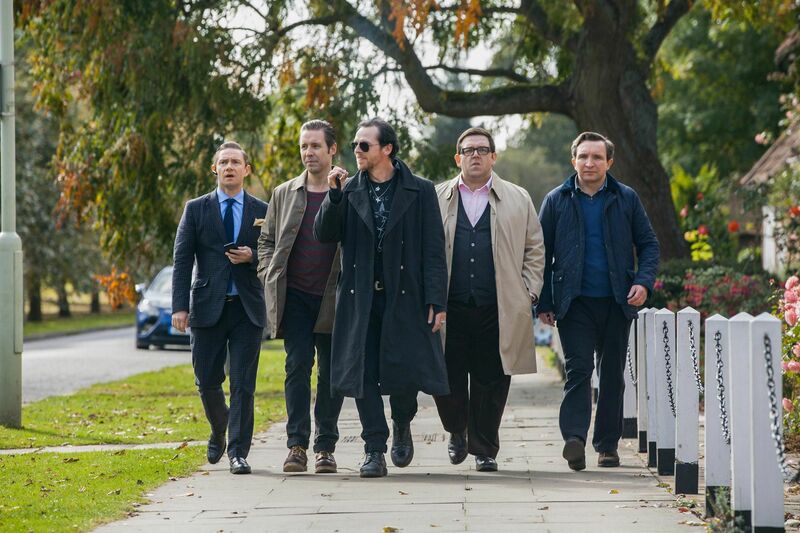 The World’s End skillfully manages to find the comedy, thrills, and melancholy of living like there’s no tomorrow.